Meredith and Jake were married in Meredith's hometown in Boulder, Colorado, standing quite literally atop a mountain - fitting as these two's biggest hobby (besides being brilliant scientists) is mountaineering! 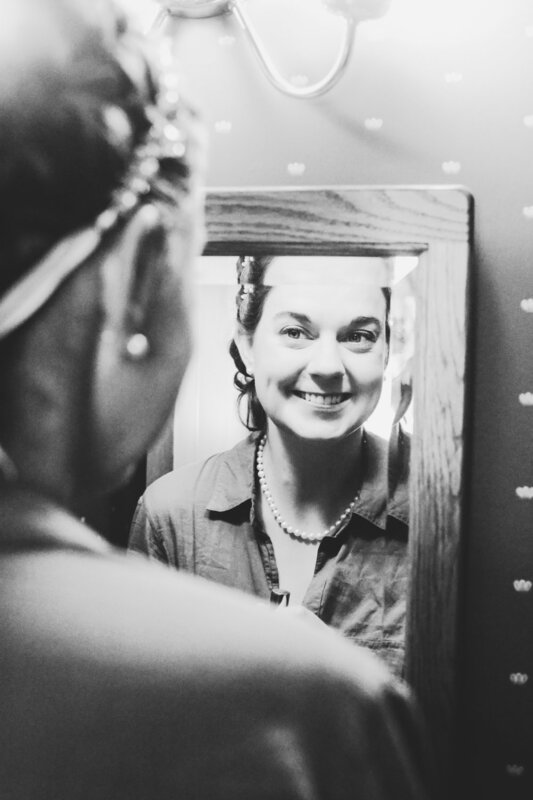 As I was also serving in the bridal party, the incredible Sheepdog Productions captured the ceremony and couple's portraits, but I was lucky enough to get to photograph everything else. The wedding day began with a rousing game of softball - bride vs. groom, of course (I want to say the bride's team won, but that might be my ego talking). The wedding party then returned to the home of Meredith's parents to get ready for the ceremony (and of course, take a few portraits of the bride). 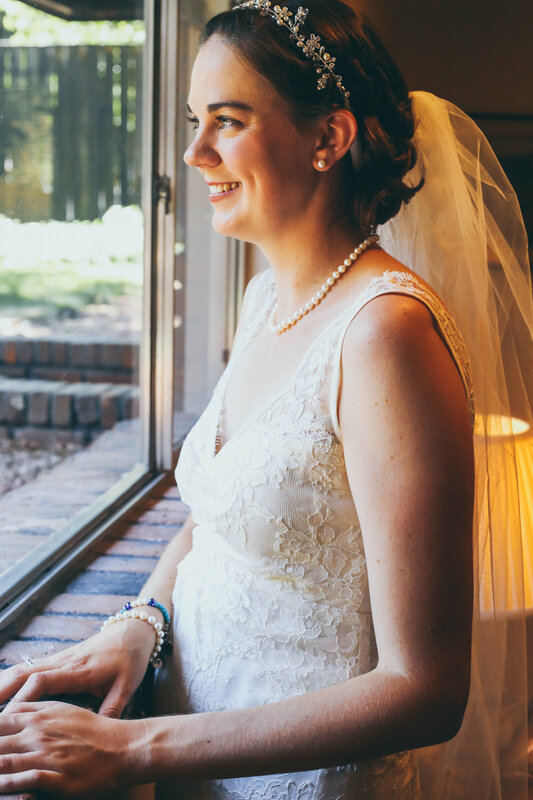 The bride's gorgeous dress was Nicole Miller, purchased from BHLDN. Once everyone was looking pretty, we took the winding road up and up to the ceremony site, the Sunrise Amphitheater on Flagstaff Mountain. The view was just ok (I mean, just look at it - hideous, am I right?). As mentioned, due to my participation in the ceremony, I left the photography there to Sheepdog Productions, and picked up again at the reception in the bride's parents' backyard. The adorable decor was mostly DIY, thanks in large part to the incredible talents of the bride herself and the groom's mother, who sewed garlands and painted signs and made sure moose were everywhere (#ThisMooseBeLove was quickly coined the hashtag for the day). 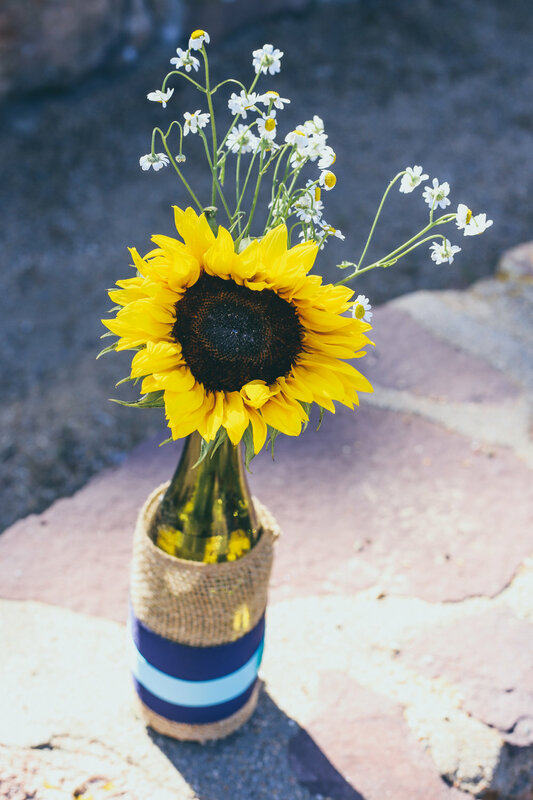 In addition to the moose theme (the couple got engaged on a moose-filled hike in Maine), sunflowers and blue ruled the day, with personal touches like mason jars lined with pages from the bride's beloved Breakfast at Tiffany's as part of the table decor. The couple arrived to much fanfare, and the celebration quickly turned to tacos, champagne, and cake! As the sun went down, the couple kicked off the dancing with their first dance before friends and family swarmed the floor to party the night away.